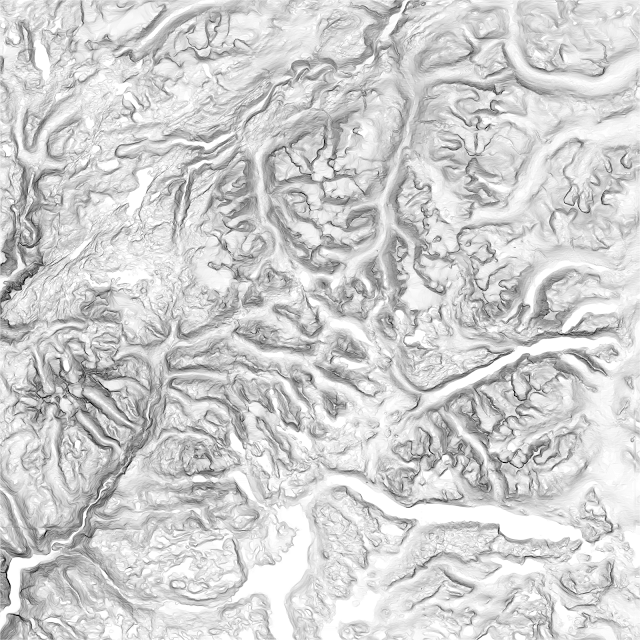 In my previous blog post we created a grayscale shaded relief (hillshade) from a Digital Elevation Model (DEM). Today, we’ll use the DEM to create color relief and slope shading maps. A Digital Elevation Model (DEM) can also be used to measure slope, the steepness of the terrain. Slope is estimated by comparing each pixel of the DEM to the elevations of the surrounding pixels. Creating slope shading with gdaldem is a two step process. We then use this raster to create slope shading by assigning a color to each pixel, using the same technique as for color relief. 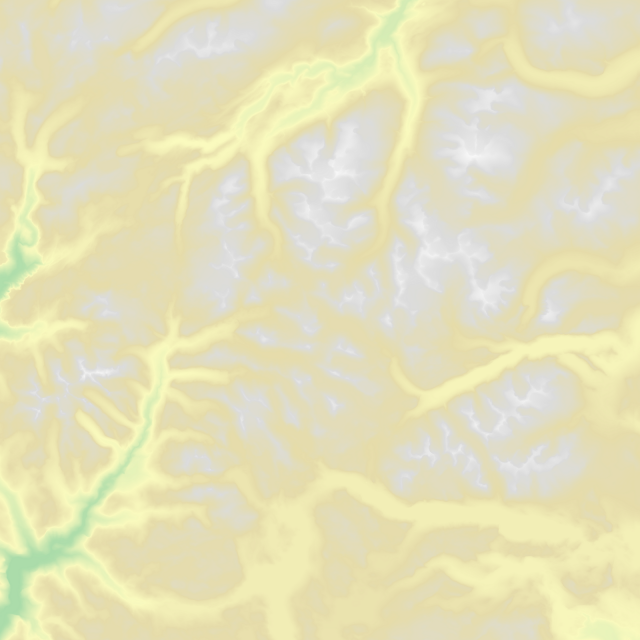 In the next blog post we’ll combine slopeshade, hillshade and color relief into a single map image.